I’ve heard so many writers wax lyrical about their early poetic influences and, indeed, I’ve done it myself in interviews. Musicality plays a great part in my poetry and some time ago, a young writer asked me what the first album I bought was. They might have been expecting Tracey Chapman, or perhaps even Gil Scott Heron, The Last Poets or Public Enemy – and indeed, they did come later. But here, ladies and gentlemen, for your viewing pleasure, is my ultimate secret shame. 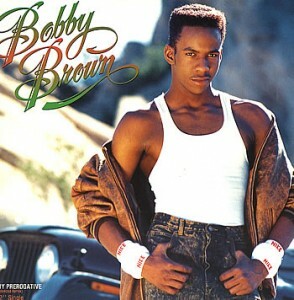 In 1989, I bought my first ever cassette tape album: Bobby Brown’s gem Every Little Step I Take. It played on loop on my sunflower yellow boombox till the tape got twisted and Bobby began to sound chipmunk-like. Whitney Houston and Brown hadn’t hooked up yet and I knew deep down that somehow, Bobby and I were gonna marry someday. Bel Biv Devoe and Arrested Development were soon to follow suit, though none of them would steal my heart anywhere close to the way that skinny-legged black-shoulder-padded-tux-with-bare-chest-underneath Bobby did. Hahaha – thanks for sharing Maxine Lyrics are what started me writing poetry, but I will keep my influences to myself. Yeah, not too sure about the wisdom of posting this, I’m sure Bobby will come back to bite me. Though many of us poets are too serious a bunch in general…we need to lighten up about ourselves and our work, I reckon. Totally agree – some poets forget about the having fun with words bit. Didn’t mean I agree with it not being a good idea to post though – haha – my knowledge of Bobby Brown is limited to the Whitney Housten relationship. “…many of us poets are too serious a bunch in general…we need to lighten up about ourselves and our work…” – mmm you know I feel really good that you posted this on your blog becasue I usually feel really bad that I love writing poetry, some serious stuff, but I still love shoes…and handbags…and going to the hairdressers:):) Now I know its okay to lighten up once in a while! Olga http://revedoa.blogspot.com – feel free to visit the blog and check out some of the serious stuff!!!! Much to serious. May I as not a poet suggest a bit more humor and an occasional smile rather than a grimace. 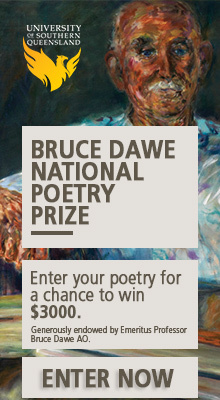 LUV poetry even though I don’t love every poem or poet but oh to imagine a world without it. Impossible. Keep in rhyming or just subliming it is a great pleasure to listen anew.